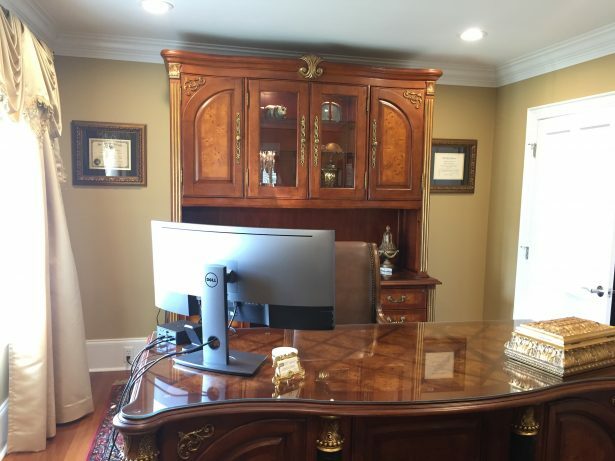 RUTHERFORDTON—The Farmer & Morris Law is hosting a grand opening of their office annex on Friday, April 12, 2019 from 11 a.m.-6 p.m. You are welcome to join the celebration of their beautiful, historic and recently renovated house/office on N.Washington Street in Rutherfordton. 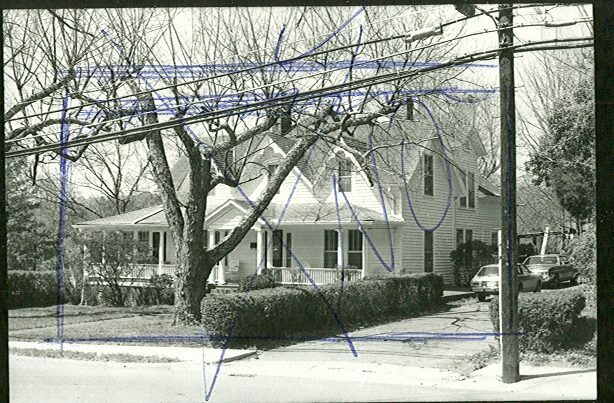 This property was formerly known as the Keeter Home and was built in 1885. C. W. Keeter ran the Keeter Hardware Store in Rutherfordton. As you approach the home, you note the convenient location – across from the jail, and behind the courthouse. In this before picture, The railings on the porch were removed and where they are replaced is beautiful special-made wrought iron. That alone is worth a visit to the home. Beadboard was replaced on the ceiling of the porch and big brass lanterns light the way from the adjoining parking lot. The replacement windows, approved by the Historic Preservation Committee, are in the style of period windows. 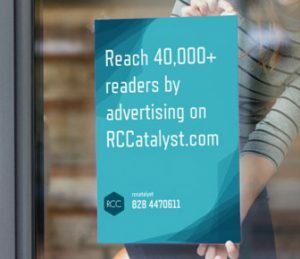 Mark Morris, knowing my penchant for old houses, generously offered RCCatalyst an opportunity to preview their new annex. The house is located adjacent to their office building on the corner of N. Washington and Third St. in downtown Rutherfordton. Morris said that the old siding, consisting of an odd board infrastructure, had been removed and replaced. The yellow siding brings a positive note to this area. “And of course we had to add insulation.” Once inside you don’t hear the busy street traffic. The landscape and lawn were also redone to present a fresh curb appeal. Morris informed us that none of the walls were removed; they preserved the inner structure intact. They had to eliminate the coal fireplaces due to space considerations. 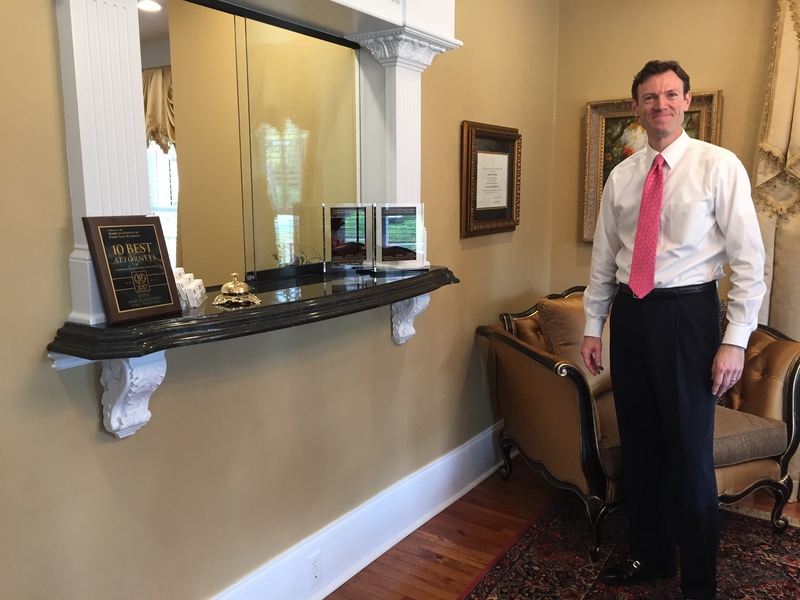 Attorney Mark Morris shows off the new reception room of the Keeter house. The pass-through window was originally a double fireplace. The bricks were taken down one by one. “We didn’t know the house was over a hundred years old until after we bought it,” Morris offered as I entered into the reception area. “We discovered there were no level floors here. You could put a marble down and it would roll every which direction.” Consequently there was leveling done under the house. 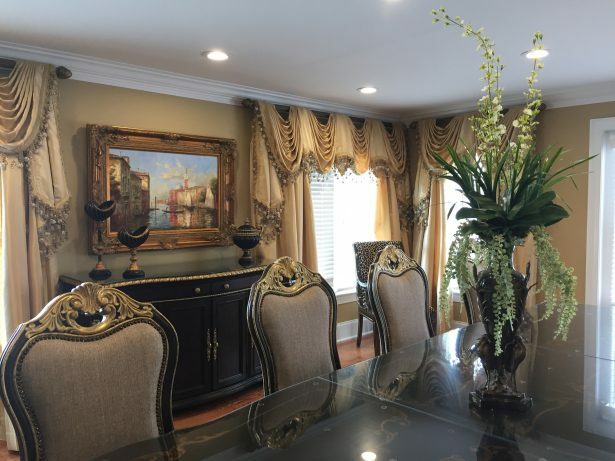 The huge conference room, beautifully decorated, was made from a former sunroom addition to the back of the house. 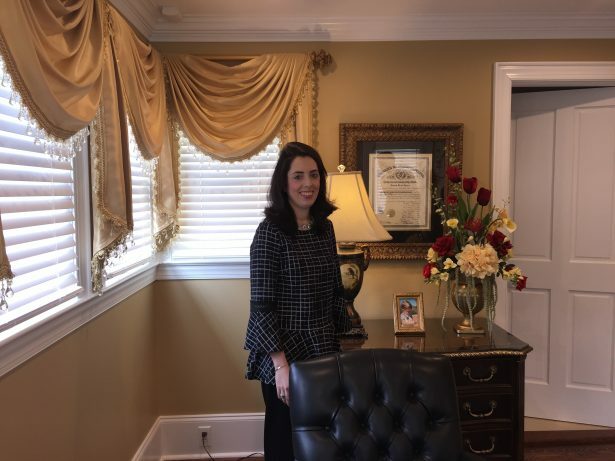 Attorney Gabrielle Valentine occupies one of the gable rooms with its charming angles and corners. 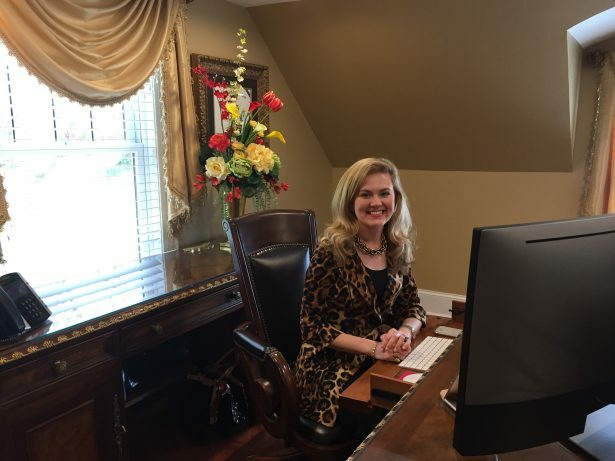 Attorney Hannah Davies in her front office. 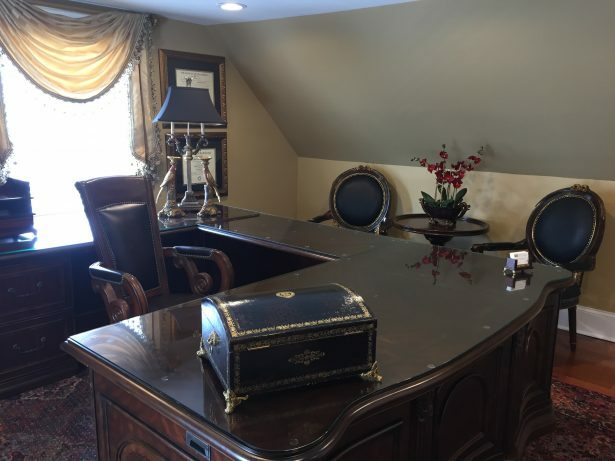 The adjacent office will still be used by the firm’s attorneys for bankruptcy issues. 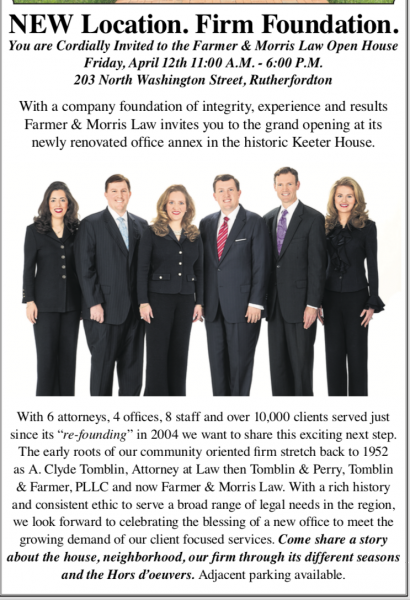 The public is invited to celebrate the grand opening of the Farmer and Morris Law Firm annex. Attorney Josh Farmers office. Farmer sent his regrets that he could not meet with us.